BEFORE: Historic Macon rehabilitated a house in the target 1200 block of Calhoun Street in Beall's Hill. AFTER: Two young professors moved their family from Arkansas to work at Mercer University and now reside on Calhoun Street in Beall's Hill. Historic Macon Foundation is currently serving as the lead developer for the Beall’s Hill Neighborhood Revitalization project. After completing national award-winning revitalization projects in neighboring Huguenin Heights and Tattnall Square Heights, Historic Macon Foundation was an obvious choice as a development leader. Under the direction of the Hills and Heights Development Corporation and the management of the College Hill Alliance, Historic Macon Foundation is planning and executing a phased revitalization plan for the entire thirty block neighborhood including infrastructure improvements, new-build infill construction, rehabilitation of historic buildings and some marketing functions. Beall’s Hill is one of Macon’s fastest growing neighborhoods, fueled by a desire for Maconites to live in the thriving College Hill Corridor. Historic Macon Foundation’s development philosophy is to make the lead investments that lay the foundation for private developers to take over the project. We will continue to push development towards Telfair St. and Elm St. Check out our newest historic rehab, 953 Elm! 551 Cherry Street was the first project completed with funds from the downtown revolving loan fund. It now hosts three condos and one commercial space in the heart of downtown Macon. Through the support of the Peyton Anderson Foundation, The 1772 Foundation, The E.J. Grassmann Trust and the Community Foundation of Central Georgia, Historic Macon has established a $500,000 revolving fund for downtown Macon. Our hope is to establish a core of homeowners in downtown Macon and to entice private developers to produce owner-occupied housing for the long-term stability of downtown revitalization. One project has already been completed by funds from the Downtown Loft Revolving Loan Funds. The building at 551 Cherry Street was rehabilitated and now contains three condos and a commercial storefront for owner-occupants. Within one year of the projects completion in March 2015, all units are occupied by owners. Historic Macon is currently determining what downtown project it will complete next with funds from the revolving loan fund. 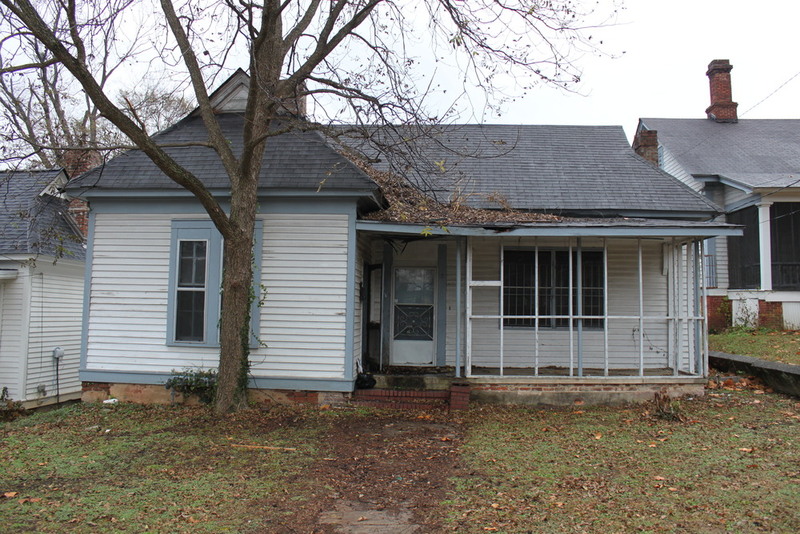 Historic Macon has partnered with the Urban Development Authority and Macon Arts Alliance to rehabilitate five historic vernacular mill houses and to construct 1 compatible in-fill house in the East Macon Arts Village. Mill Hill: East Macon Arts Village is a neighborhood revitalization effort that seeks to develop approximately four blocks of the historic Fort Hawkins Neighborhood in East Macon into an arts village in order to address blight and foster economic opportunity.